Today is the first in the 2013 series of Advent Calendar of Christmas Memories. I participated in the series in 2011 so thought I might have another go-around this year though some posts may simply be link-backs to earlier topics. Gum Tree Christmas and bride doll. In our family the Christmas tree has changed over my lifetime. As a child it was always a branch of a small gum (eucalyptus) tree from down near the neighbourhood creek, or perhaps even a small tree. Because it was live we only put the tree up in the days before Christmas. It infused the house with the distinctive fragrance of eucalyptus oil. It’s strange how memory works because I have no recollection of the process though there was definitely ceremony attached and I was always involved in the decorating. As a young married couple we followed the tradition of branches of live trees, like the casuarina. It was decorated with indestructible baubles in bright 1970s colours and cheap trade-store ornaments, many of which lasted decades. Later on we moved to a plastic, pseudo-pine tree which did look the part. No doubt we bought it at one of the Chinese trade stores in Port Moresby though I’m not sure which. 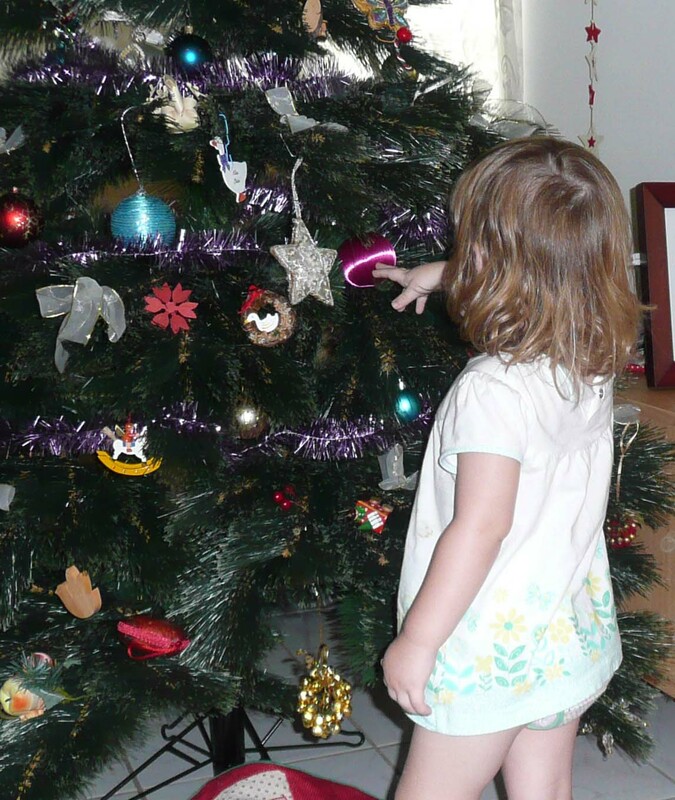 Another generation discovers the Xmas tree -and an original bauble from 1970. 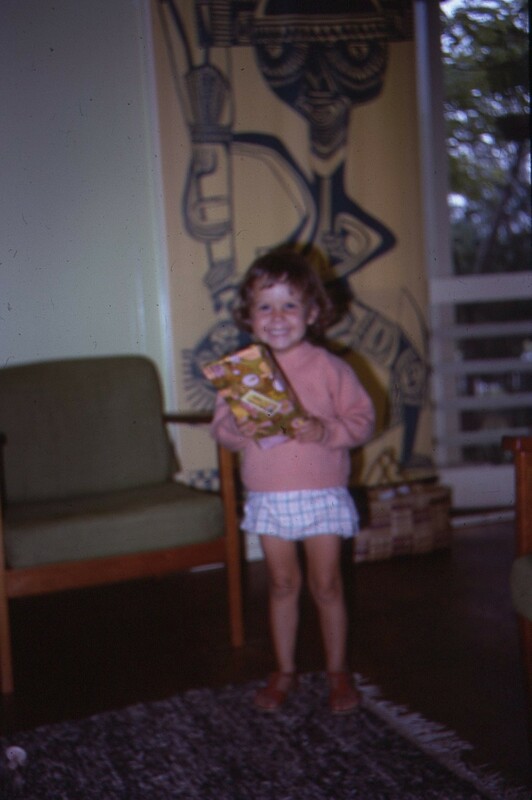 That tree followed our family back to Australia and through our children’s growing up. It remained in Brisbane when we moved to the Territory and eventually was retired from service by daughter #2 a few years ago as even a fake tree loses its needles after decades. Meanwhile we progressed through another two trees thanks to the services of a small furry creature who thought having an indoor climbing adventure, complete with tempting trinkets, was just the ticket! We downsized to a small one for just the empty nesters, then upsized again as the grandchildren came along. For as long as I can recall we’ve put our tree up around our youngest daughter’s birthday in early December, and taken it down for mine, in early January. It is definitely a family tradition so I smiled quietly to myself when I heard her telling our grandsons yesterday that they would put their tree up next weekend. Of such things are memories and traditions made. It’s also traditional that Christmas carols must be played during the decorating of the tree, and each person in the house contributes to hanging the decorations, even if someone else occasionally relocates a particular bauble. 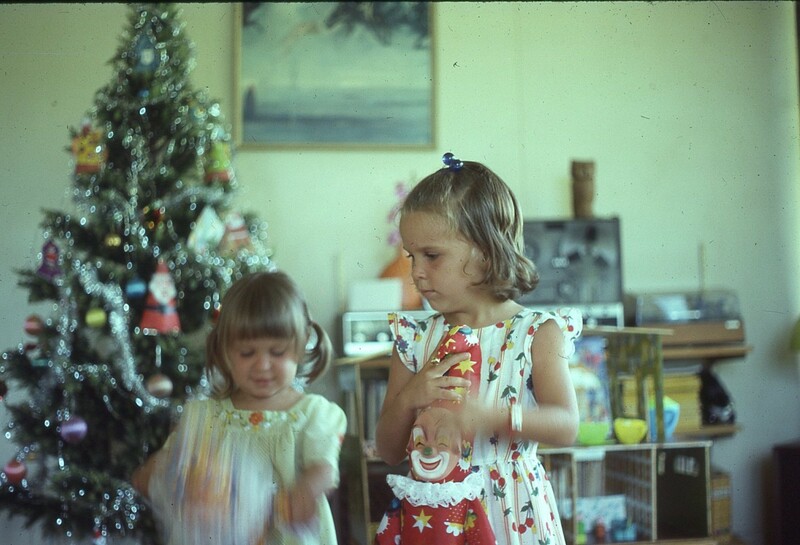 The tree inevitably had the addition of children’s craft decorations from preschool and school, some of which have survived over time and some which fell apart. Wherever we travel, especially in the prelude to Christmas, we purchase Christmas decorations, and every time we declare “no more”, “that’s enough”, so I won’t tell you that on our recent trips to Kenya and Brisbane, our bauble stocks increased. Perhaps we should start an A to Z of Christmas baubles and where they were bought! The cat contributes by downsizing our somewhat excessive decorations with a niftily turned paw and claw. It’s also amazing how much neater the house looks as soon as the busyness of trees and decorations cease in January. But nothing says Christmas is on its way like a beautifully decorated tree, and nothing makes kids’ eyes sparkle like all that bling. This is my link-back to my original Christmas Tree post. 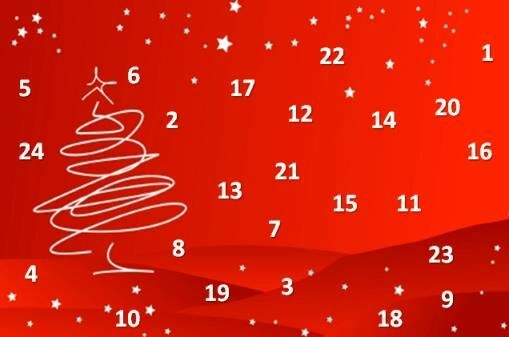 The Advent Calendar of Christmas Memories (ACCM) allows you to share your family’s holiday history twenty-four different ways during December! Learn more at http://adventcalendar.geneabloggers.com. 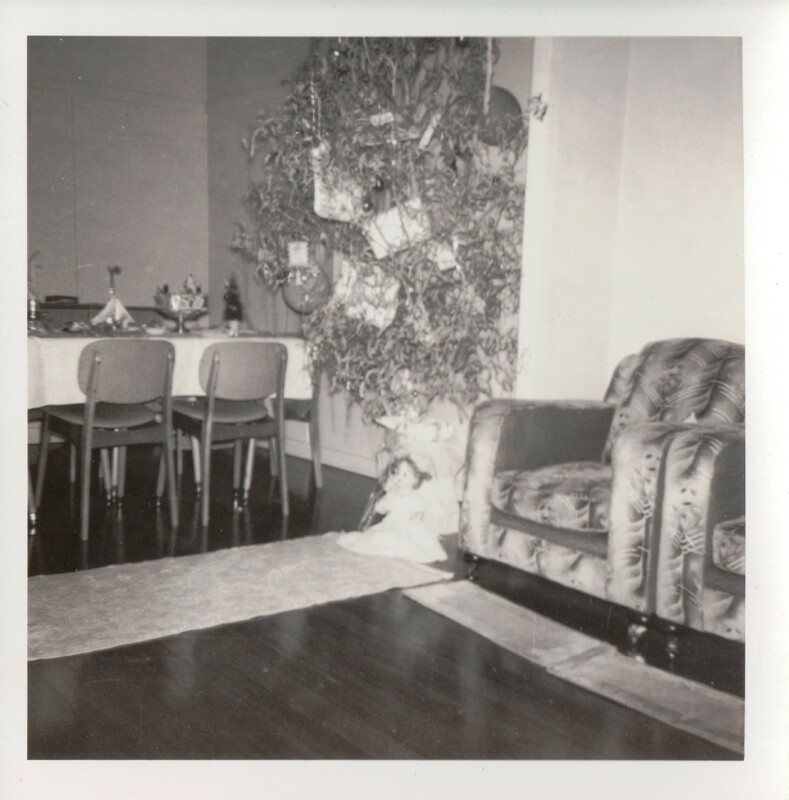 This entry was posted in Cass family history, Family History, Kunkel Family History and tagged Advent Calendar of Christmas Memories, Christmas tree by cassmob. Bookmark the permalink. I enjoyed this, Pauleen, a lovely post. Cats do like ‘helping’ with Christmas tree decorations, especially by checking they go all the way to the top. I had a good laugh remembering ours. Banned from the room but she still got in! An A-Z of Christmas decorations is defiinitely warranted Pauleen. We try to bring back chickens as souvenirs – they are impossible to find in some places. Your tree branches look like the pine trees my husband and children would find in the woods and bring home. My husband’s family lived on a farm. They used to just go out to a hedgerow and find a small pine tree to cut that looked similar to the tree branches in your picture.